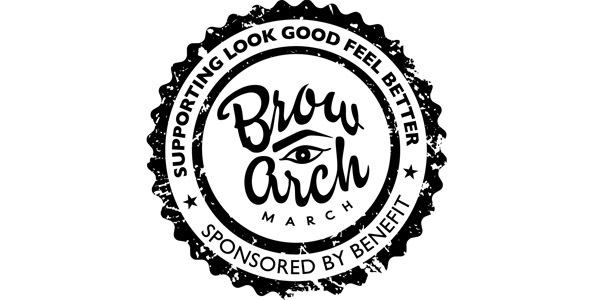 Benefit Cosmetics and Debenhams have joined forces with Look Good Feel Better to launch the first annual Brow Arch March. While men have Movember, March is for the ladies to raise vital funds and awareness for women who are challenged by the visible side effects of cancer treatment. A lot of women battling cancer lose their brows through treatment, which can be extremely hard to deal with. Look Good Feel Better (LGFB) helps women cope with the brow and eye area as part of their workshops, making its partnership with Benefit a perfect match. Sarahjane Robertson, Executive Director of Look Good Feel Better, says “Drawing on a natural looking brow is one of the most valuable skills we show people in our Workshops and Masterclasses. With sparse or missing brows and lashes you lose all forms of reference to your face and putting them back helps people ‘find’ themselves again. What does Brow Arch March mean for you? Throughout the month of March, visit a Benefit Brow Bar (located in 50 Debenhams stores across the UK) and you’ll receive a complimentary brow arch service that is worth £11.50. All they ask is that you give a minimum donation of £5, with all proceeds going to Look Good Feel Better. Brow Arch March also means a literal march! On Sunday 9th March, actress Kara Tointon will lead women of all ages around London to raise funds and awareness. The ‘Arch Angels’ will be treated along the way, stopping at landmarks to have Benefit beauty treatments as they walk. Want to join the fun? You can register at justgiving.com/BrowArchMarch, where you’ll find all the info. Are you ready to help? To join or donate to the campaign visit justgiving.com/BrowArchMarch. All the info you need can be found at the dedicated website browarchmarch.com.